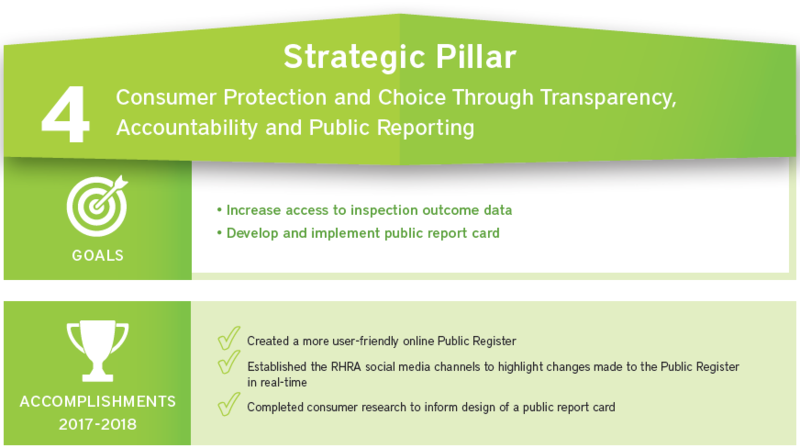 The RHRA’s 2017-18 Annual Report highlights key goals and accomplishments that were driven by the RHRA’s five-year strategic plan. 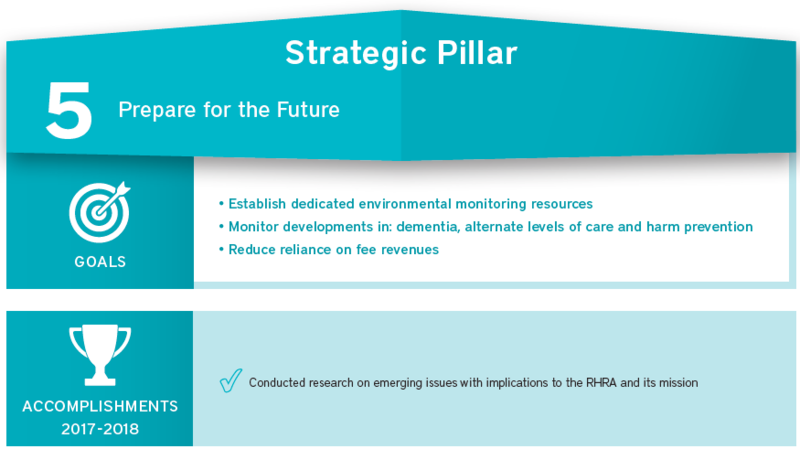 The RHRA gathered input in the development of Strategic Plan 2022 from across the seniors’ sector, including the Ministry for Seniors and Accessibility, operators and licensees, family members of residents, community partners and the Stakeholder Advisory Council. 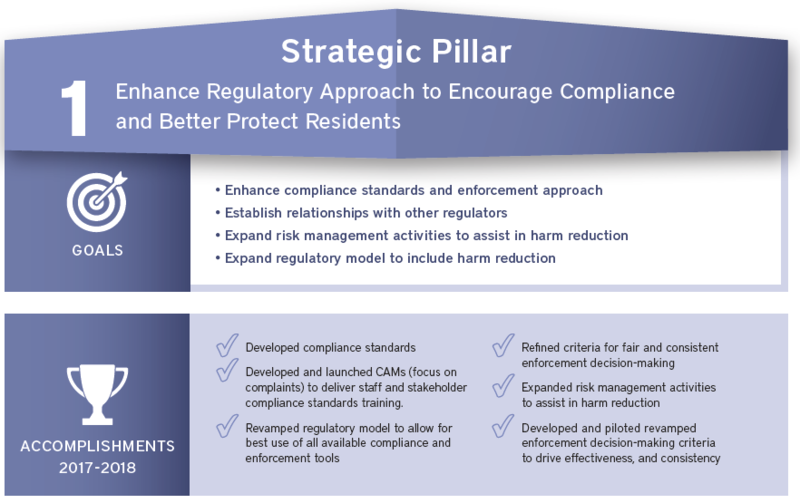 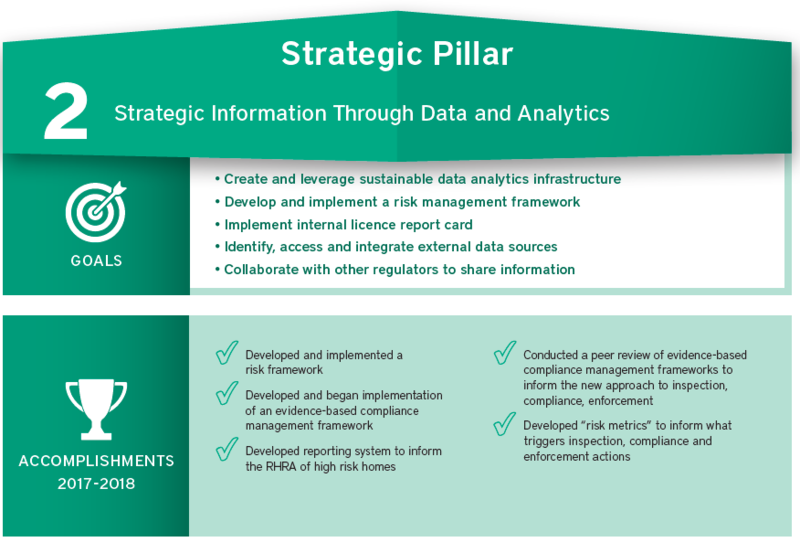 The plan represents a shift in our inspection, compliance, and enforcement approach towards activities that directly support the maximization of voluntary compliance. 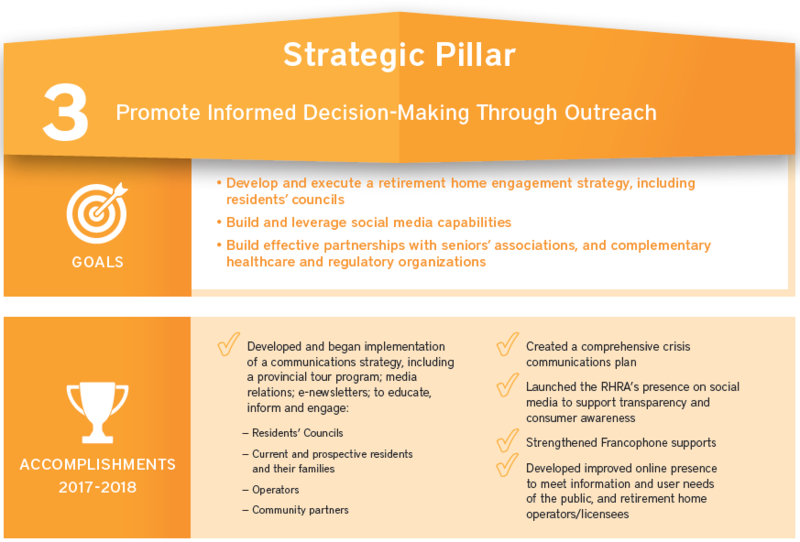 It is through these activities that the RHRA ensures that seniors have the choice and protection they need to live with confidence and dignity in retirement homes.